The invention of plastic money has contributed to making life easier, because people do not need to carry huge cash bags when doing payments for large amounts of money and, naturally, credit cards can also facilitate all kinds of commercial transactions. 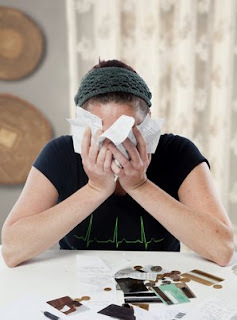 Your credit card is often your "best friend" to pay for just about everything when your balance allows it, however it could also be your worst enemy if you are not aware of the hidden, dark side that makes credit cards a debt nightmare. Getting your first credit card is often an exciting challenge because of the potential risk to get your application declined. Sometimes even people with a good credit history might not be approved due to having other outstanding debt that might be a risk factor for the credit card issuer, even if repayments are up to date. However, once the first credit card is approved, it could be easier to get additional credit cards that you had better avoid to get because they can dramatically increase the global monthly interests that you have to repay for all of them at the risk to fall into credit card debt. Some credit cards are promoted as the best next idea on earth that allows you to withdraw cash from it using an ATM, what a convenient feature... but for the issuers! Cash that you borrow from your own credit card is truly pricey because it accrues extra, and higher, interest rates over the interests that you are already paying for the card, so this is another debt trap that must be avoided. Another trick behind credit cards that often contributes to getting you falling into credit card debt is the fact of the monthly minimum payment that your card statement asks for. Many people get more credit cards than they can handle based on this fact; the minimum asked is very affordable, but repaying that minimal amount, you are practically covering part of the interests but far from paying back the whole debt. Try to repay as much as you can every month rather than just the minimum even if you only have one credit card. Avoid Additional Cards Although, it might be convenient to give your spouse or your grown kids his or her own credit card, this could be a hazardous option. Additional credit cards may or may not have cost, but the true fact is you cannot predict the spending habits of your family and even setting a limit for these extra cards, your debt could go out of control. If you need to provide your family with plastic money, give them additional debit cards instead. Finally, if you have more than one credit card, try to get rid of those with the high interest rates by consolidating your debt onto the cheaper credit card. If you have already fallen into credit card debt, you can consolidate your debt or if you have only one credit card, you can always consider getting a second credit card with lower interest rate to transfer your debt.